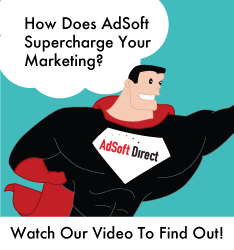 AdSoft Direct provides local marketing automation in the cloud for organizations that have geographically-dispersed retail locations, offices, agents, and partners across the country while maintaining brand and legal compliance. 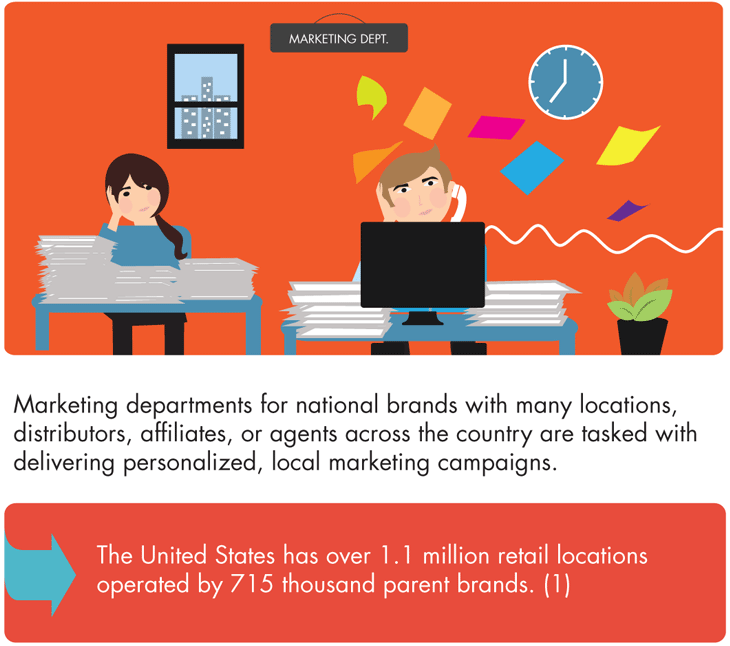 With self-service marketing centers, the leading digital marketing platforms and a national network of pre-screened fulfillment facilities, brands can flawlessly coordinate local marketing campaign delivery with a personalized touch. 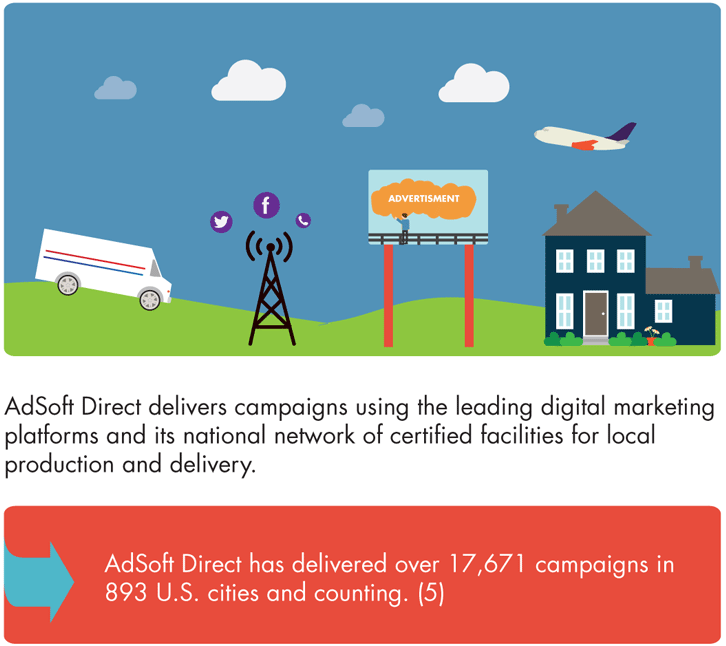 With AdSoft Direct’s best-in-class software solution, your distributed team will be able to deliver local marketing campaigns from coast to coast. 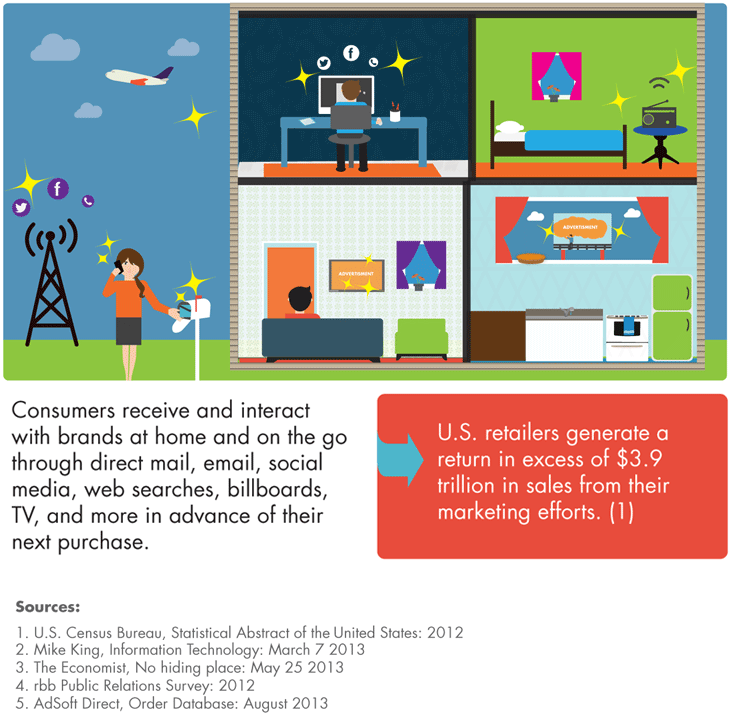 Personalize every marketing piece and fine-tune the messaging and imagery to fit the expectations of local audiences. Brands are able to retain control over the creative template, styling, brand messaging and imagery, and enjoy 360-degree reporting for every campaign. All without the concern of having team members, assorted contractors and local vendors compromise your brand as they try to execute decentralized marketing on their own. 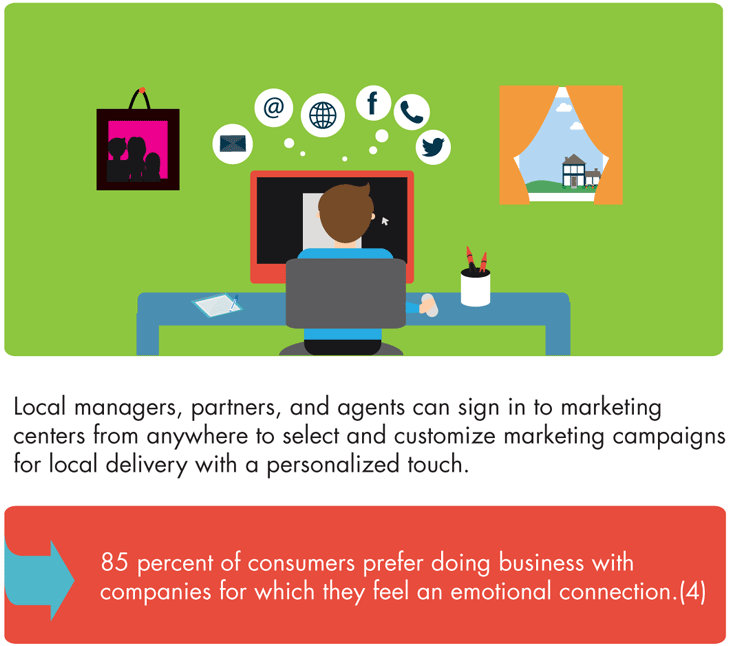 And the results show that personalized, local marketing automation just plain works better. 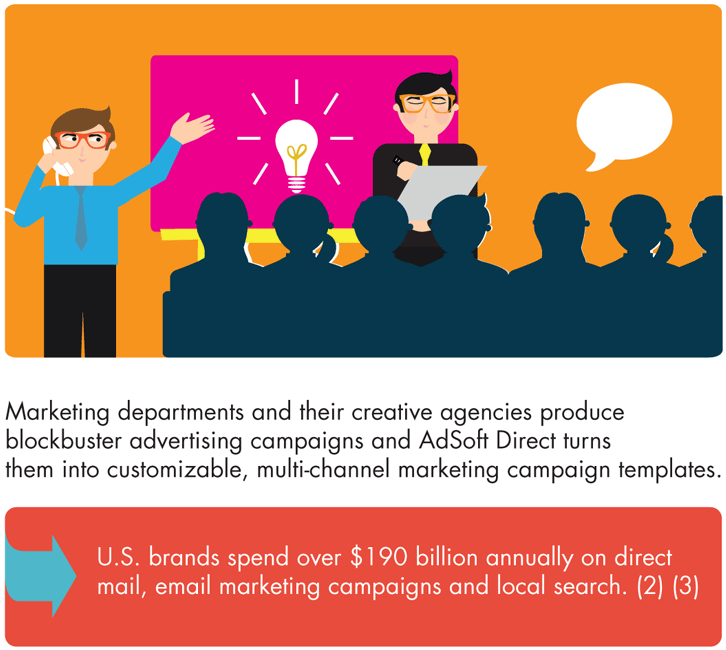 A branded marketing center from AdSoft Direct is a win-win scenario for everybody involved and organizations of any size.